Did you know over 400 JMU alumni have served in the United States Peace Corps? Well, 488 to be exact. This year, the university ranked number 16 among the Peace Corps’ top 25 large volunteer producing schools! Currently there are 35 Dukes serving in the Corps and I had the privilege to interview two, Matt Merritt (’13) and Bryan Jacobs (’14). How did you become interested in joining the Peace Corps? Matt: The idea of serving others was first taught to me by my mother who would volunteer weekly with her women’s club. Growing up, I was always aware of what I had reflected and what other’s didn’t. Fast forward to college, I knew that I didn’t want a typical post grad job working in an office. As a Spanish and Global Justice studies double major, I wanted to experience what the rest of the world had to offer while doing my part to “be the change” for those in need. My junior year, I attended a Peace Corps recruiting event in Festival. Halfway through the presentation, I decided right then and there that I wanted to serve in the Peace Corps. 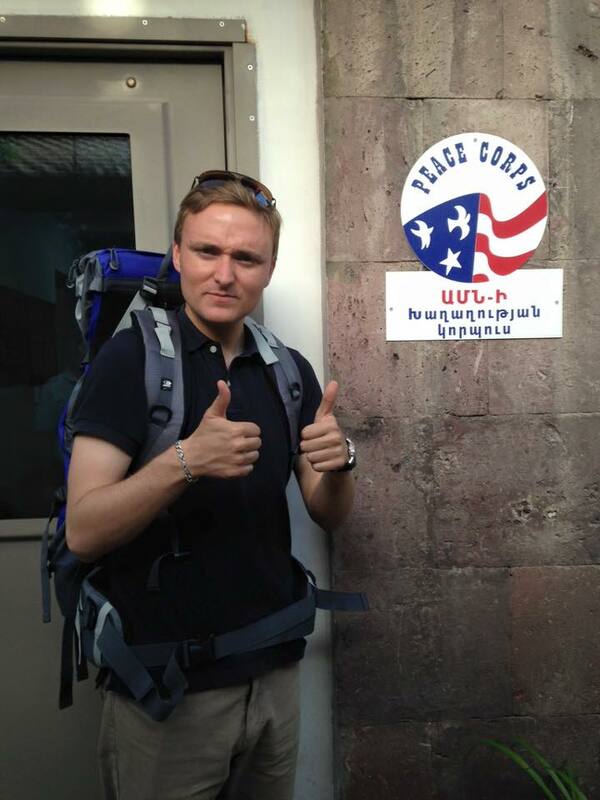 Bryan: I became interested in the United States Peace Corps as a sophomore entering junior year. I was beginning to plan for the post-JMU future and I knew that I liked to help others, make a difference, and travel. More importantly, I felt that I have to do service on behalf of a nation that has given so much for me. I contacted a Peace Corps recruiter in 2012 and I was told to work on a variety of different skills, particularly foreign languages, and find volunteer opportunities in the community. As I started to volunteer around the community and made connections outside of the James Madison “bubble” I began to find my stride and the feeling from that was very rewarding. It was during those formative years that I began to realize that Peace Corps was one of the most logical and most fulfilling jobs I could pursue after graduation from James Madison University. How has this organization changed the way you view the world? Matt: I used to think that if someone asked for help, you immediately dropped what you’re doing and assisted in any way. Peace Corps taught me about the importance of sustainable change. It’s not so much about “being the change you wish to see in the world,” but inspiring others to be the change for themselves. There’s a saying that if you give a man a fish, you feed him for a day, but if you teach a man to fish, you feed him for life. Unfortunately, this lesson is often forgotten by development experts and by aid organizations themselves. Dependency only causes further problems and actually does more harm than good in the end. 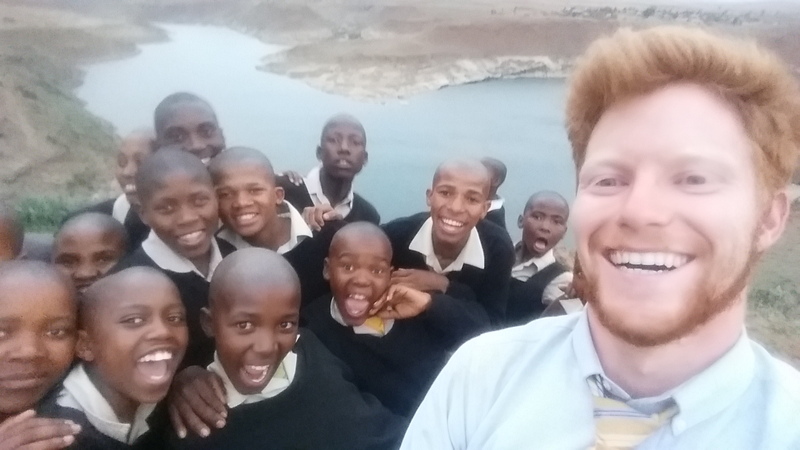 Bryan: I cannot explain in a short paragraph all of the ways in which Peace Corps has changed my world view. However, I can say that I am more culturally aware, literate in a new language, and integrated into the traditions of a foreign people. 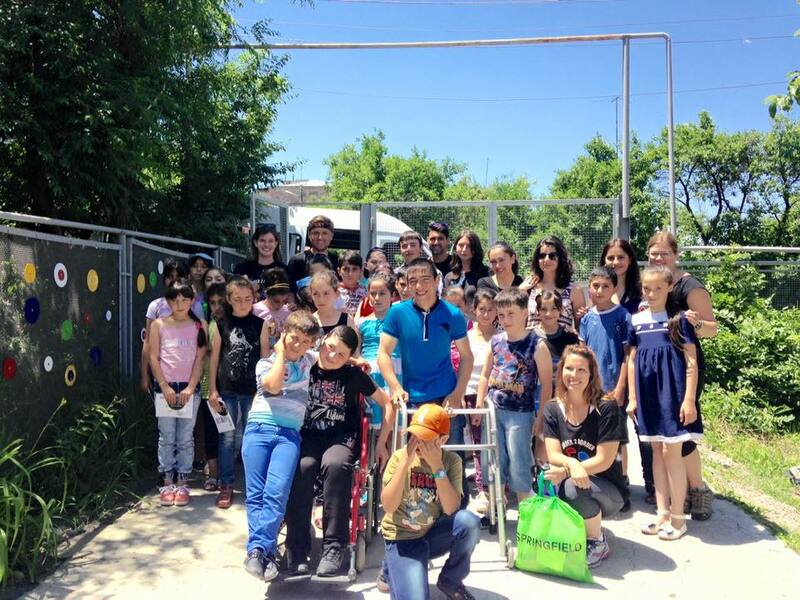 The connections that I have made with Armenians are everlasting. In a sense, I think this is what John F. Kennedy envisioned with the establishment of the Peace Corps. He wanted young, idealistic people to change the world and support disadvantaged communities to both realize our good fortune but also change our very one-sided view of the world. It’s funny because before joining Peace Corps I thought of myself as a “worldly” person, but it is only now that I realize I am only beginning my journey. Have you worked alongside your fellow JMU alums? Matt: I actually have! Brandy Hart (’13) and I were a part of the same training cohort. Having another Duke to share this experience was a journey in itself. We were able to do a few projects together empowering young men and women to be the next generation of world leaders. Girls Leading Our World (GLOW) and Boys Respecting Others (BRO) camps focus on teaching leadership, life skills, HIV/AIDS awareness, sexual health, healthy relationship skills, sexual violence awareness, and character development to at-risk youth. I organized a GLOW camp in my community and Brandy assisted as a counselor. When Brandy directed her own BRO camp, I gladly returned the favor. Bryan: Surprisingly, one of the Peace Corps volunteers at my “class” is a James Madison alumni. However, I know of many more James Madison alumni serving around the world and working at HQ in Washington, D.C. We are a community within a community. 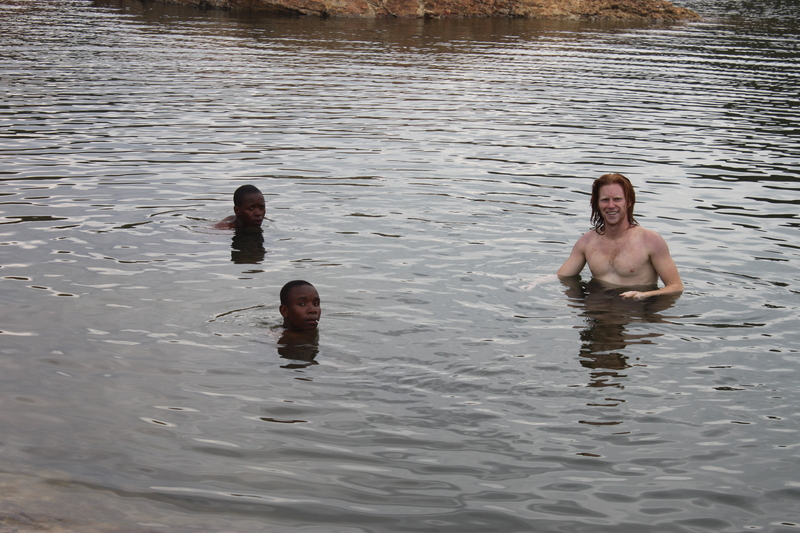 Matt: In my village, I lived right next to a newly constructed dam so I had a reservoir as my own personal swimming pool. The first time I went down to the water, local herd boys immediately gathered by the shore to see what I was doing. Basotho are terrified of large bodies of water due to their personal inability to swim but mainly because of a childhood myth shared in their culture. The myth states that wherever there is a large body of water, there is a “giant snake monster” waiting to gobble up anyone who dares to jump in. Now at the time, I was completely unaware of this myth and eagerly dove into the cool, refreshing water on a hot summer day. It was about 200 yards to swim across and I needed the exercise so I put my head in the water and began swimming. Unbeknownst to me, as soon as I had jumped in, the herd boys ran up to the village and started shouting that I had fallen into the water and I was being chased by the “giant snake monster.” By the time I had reached the other side, half of the village had come down to the shore to help rescue me. They had never seen a person swim before and were also shocked that I hadn’t been eaten alive. After swimming back and reassuring everyone that I was completely fine, word had spread throughout the surrounding villages that, “a white man was part fish when in the water.” I started a swimming school the following week. Bryan: Every day, I have an experience that I will never forget. There are truly too many times that I have told myself, “Wow, I will never forget this moment”. 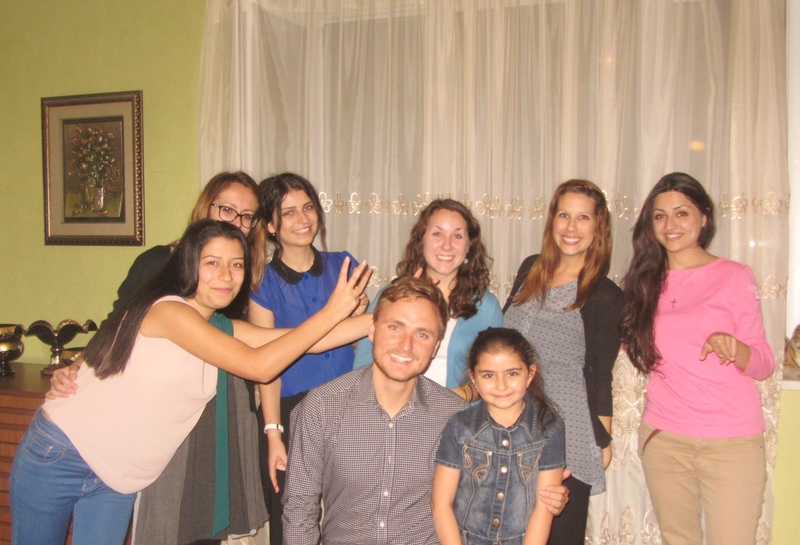 So, fortunately, I don’t have just one unforgettable moment during my Peace Corps service. Any advice to current students looking to become involved in a service organization post-graduation? Matt: I believe Gandhi said it best when he stated, “the best way to find yourself is to lose yourself in the service of others.” Any service opportunity post-graduation will certainly make an impact that will shape your career. Be careful though, because it can either affirm the path you’ve chosen or make you discover an entirely new passion. Rest assured, the office job can wait for a few years. Bryan: My advice to students who want to get involved in a service organization post-graduation is to refine any passions that one may have within the very safe university setting and then work with those passions post-graduation. Many service organizations, or any organization for that matter, want to see passion in your work but they also want to see a certain amount of skill sets, too. So, a combination of passion and skills sets would be ideal. Also, for Peace Corps, foreign language skills and knowledge are crucial. 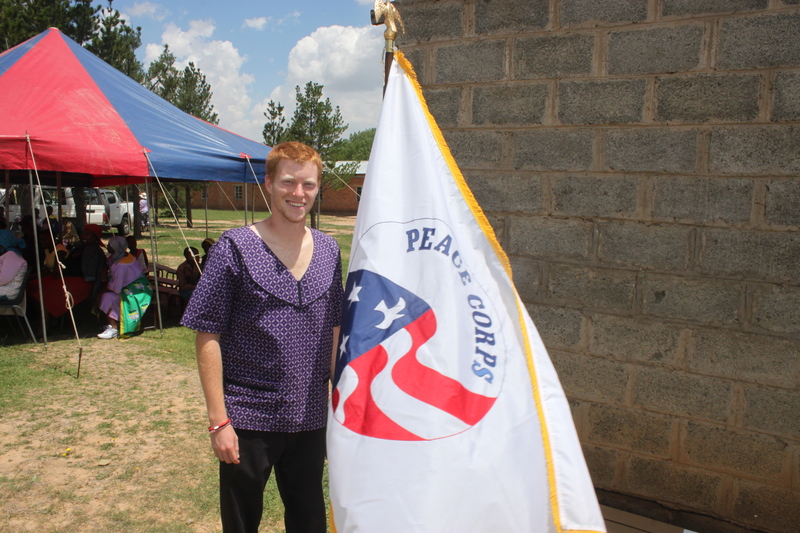 Serving a service organization, like the Peace Corps, is an excellent path to take post-graduation. If you don’t have a set graduation plan or don’t want to take the plunge into a career yet, volunteering is a great opportunity to learn and become culturally aware. These opportunities create a once-in-a-lifetime experience. 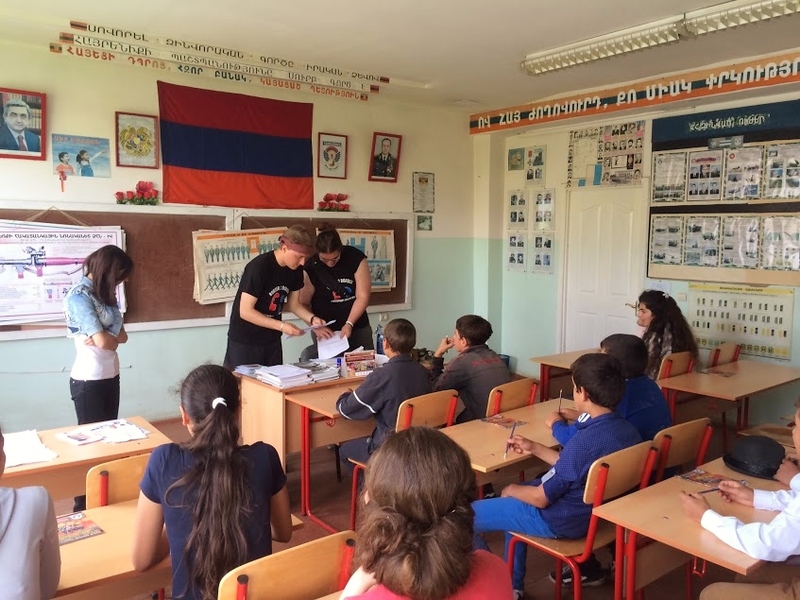 For more information about the United States Peace Corps and how you can get involved, visit peacecorps.gov or watch for information sessions held on campus. How do I get on that list? I am pretty sure JMU does not have a record of me serving (03-05) in Jalalabad, Kyrgyzstan as a university teacher. Wluld be great to help inflate that number.